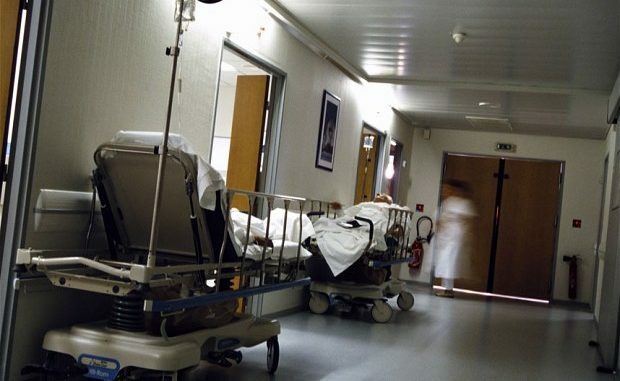 The Government has drawn up a list of NHS trusts it believes should be outsourcing services to private health care providers to reduce waiting lists. Waiting lists have been growing due to Government cuts and mismanagement – Keep Our NHS Public rejects the idea that outsourcing is the correct course of action. 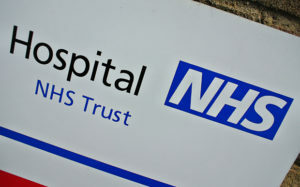 It is unclear how the list of 54 trusts has been put together: not all of them are performing badly against NHS England’s own flagship 18-week target. These ‘recommendations’ are a worrying but predictable response from a Government which deliberately underfunds the NHS (see Nuffield Trust funding report and analysis from Keep Our NHS Public) with one hand and then forces through it’s commitment to privatisation of the NHS with the other. 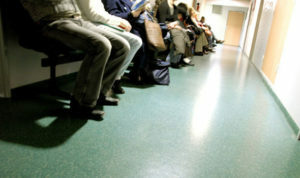 An exclusive report by the Health Service Journal shows how 54 NHS trusts that may need to outsource operations to reduce their waiting lists has been drawn up and given to private providers without their knowledge. A full list of the trusts is included in the report. These decisions should be taken locally rather than being directed from the top down. Trusts should have a clear say in the contracting process, or lead it, to identify and mitigate any financial risk, and to avoid potential pitfalls such as paying an unnecessary premium for trust staff to work for an independent provider nearby. Last winter in the NHS saw the worst winter crisis in over 10 years and the unprecedented step was taken to cancel over 50,000 operations in order to increase capacity in the system. As a result, many trusts now have unmanageable waiting lists, with over 4 million people waiting nationally and the 18-week target slipping. Indeed, this is the first time the list has topped 4 million since 2007. There are significant consequences to the long waiting list which leaves patients in pain and suffering. For the NHS it also increases the burden on primary care as patients access their GP more often whilst awaiting treatment. Keep Our NHS Public believe this practice which benefits the private sector is symptomatic of the way this government seems to prioritise non-NHS providers. Outsourcing to the private sector is expensive and wasteful with the trust being penalised for having to use alternative provision. Conversely trusts are also penalised if they cancel procedures, so there is no solution for them which doesn’t have damaging financial repercussions. This damaging policy reinforces the myth that the NHS cannot cope. It is diverting NHS funding into the private sector, which is already propped up by 50% of its income taken from NHS sources. The Government is wrong to refuse to build NHS capacity while deceitfully promoting the private sector as saviours of the public service. The government should be working with NHS trusts, not covertly allowing the private sector a way to profit at the expense of NHS organisations. This action clearly raises questions over the government’s commitment to a publicly owned and provided healthcare system. 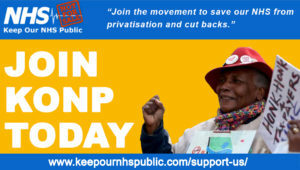 If like us you believe the NHS should remain wholly in public hands why not become a member of our campaign? This is outrageous. What an absolute shambolic, pathetic, abhorrent policy.